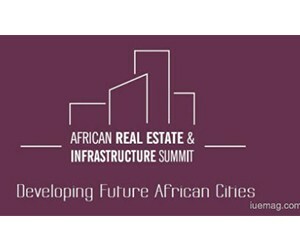 The award-winning African Real Estate & Infrastructure Summit comes to Gauteng in October to gather leading built environment and property professionals, architects, project developers, investors, town planners, and city and municipal managers from all over the continent to focus on “Developing Future African Cities”. “Over the next 20 years, growth in Africa’s urban population will increase the demand for more infrastructure, including transport, housing, hospitals, schools, retail, industrial and fundamental facilities,” says Benjamin Jones, Event Manager of African Real Estate & Infrastructure Summit. He adds: “to meet this ongoing demand, public and private sector stakeholders will need to adapt their strategies to develop and fund projects that will need to meet the specific demands and challenges of African cities.” The summit will take place at the Sandton Convention Centre from 25-26 October. In November last year, the inaugural African Real Estate & Infrastructure Summit in Cape Town provided an innovative space for more than 300 sector experts gathered for interactive sessions that focused on key case studies of visionary city planning, investment opportunities in the commercial and residential real estate sectors across the continent as well as the challenges of urbanisation. A key finding of the conference was that Africa’s cities are facing an urban ‘polycrisis’ and that there is a need for a new urban agenda and an opportunity for innovative solutions to address urbanisation challenges. The summit was voted Africa's best Confex (half conference, half exhibition) earlier this year by the AAXO ROAR event industry awards. African countries need to adopt new development models designed to take advantage of urbanisation by facilitating structural transformation, creating jobs and addressing social inequality and poverty, while creating sustainable human settlements with equal opportunity for all. The future of Africa is at stake and the future of Africa will be more and more linked to how cities are managed and the way they choose to contribute to African unity. Careful, complex, thorough administrative management and pro-poor urban development will turn African cities into world-class cities, not design plans based on fantasy Dubai-esque city makeovers. The City of Cape Town has invested over R22 billion in infrastructure over the last five years and needs to provide an additional 650 000 housing opportunities over the next 20 years. Merely pursuing low-density low-cost housing on the outskirts of the cities is not an option. Innovative thinking must be part of the solutions for urbanisation challenges and partnerships between the public and private sectors play an important role. Leading African cities that have been invited to showcase their major infrastructure and building projects and opportunities in October at African Real Estate & Infrastructure Summit include: Abuja, Nigeria; Addis Ababa, Ethiopia; Cape Town, South Africa; Dar Es Salaam, Tanzania; Johannesburg, South Africa; Kampala, Uganda; Kigali, Rwanda; Lagos, Nigeria; Luanda, Angola; Lusaka, Zambia; Maputo, Mozambique; Nairobi, Kenya; Harare, Zimbabwe and Kinshasa, DRC. During the same week as African Real Estate & Infrastructure Summit, the Property Buyer Show also comes to Gauteng from 27-29 October at the Sandton Convention Centre. The Property Buyer Show, which took place for the first time in Cape Town in April this year, is a unique exhibition aimed at first-time residential property buyers or real estate investors. The innovative exhibition layout is designed to walk buyers through the property buying process and meet with Developers, Agents and Financial Service Providers. The African Real Estate & Infrastructure Summit and the Property Buyer Show are organised by the multi award-winning Spintelligent, well known for organising exhibitions and conferences across the continent in the infrastructure, energy, mining, agriculture and education sectors. Longstanding flagship events by Spintelligent include African Utility Week, Future Energy Nigeria (formerly WAPIC), Future Energy East Africa (formerly EAPIC), Agritech Expo Zambia, DRC Mining Week and EduWeek. Spintelligent is part of Clarion Events Ltd, based in the UK.